Almost everyone wants to know if video surveillance systems help campus safety professionals do their jobs. In addition, they want to know the clarity of the video and if the systems are reliable. In a recent survey on video surveillance by Campus Safety Magazine, campus security professionals were asked questions about their surveillance systems and what types of challenges they have securing their campus. The survey revealed that 96% of survey respondents that have video surveillance systems installed on their campuses say these systems frequently (58%) or sometimes (38%) provide evidence for investigations. Four in five say their security cameras frequently (24%) or sometimes (56%) prevent crime, and 86% say these systems frequently (50%) or sometimes (36%) help their departments monitor their campus during other situations when safety or security issues could arise. Almost three out of four respondents (74%) say their video surveillance systems frequently or sometimes act as force multipliers. 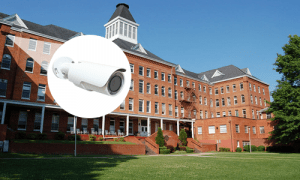 These results show that security cameras are a valuable tool for most school, university, and hospital public safety and security departments. 94% of survey respondents say their campuses use their security cameras daily or weekly. More than four out of five respondents rate image quality and reliability as extremely important. On a scale from one to five (with one being not important at all and five being extremely important), both clarity and reliability have an average rating of 4.8. When drilling down further into reliability, 76% of respondents say they want their cameras to work consistently for more than three years. Nearly four in five respondents (79%) replace their cameras when needed. The Campus Safety Magazine survey showed that most schools used their video systems for investigations. This means finding video by seeking a date and time and playing through to find the relevant event. This can take tens of minutes to hours, especially if multiple cameras are involved. Why spend hours searching through video when you can find what you’re looking for right away? 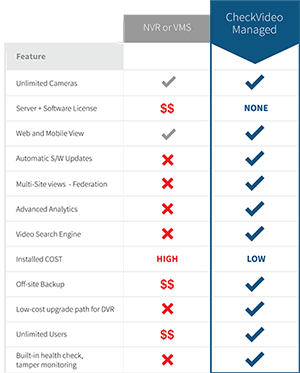 Fortunately, CheckVideo includes an industry-first search engine that enables searches in seconds, even for multiple cameras. This makes it possible to use video cameras to truly understand activities around your campus and deploy law enforcement to provide coverage where it is needed.